I have had a dog almost my entire life. I’ve had dogs in apartments and in houses, raised dogs while raising kids, and juggled having a dog with a demanding job. But when we started talking about going on the road, we realized that the dog we had would not be a good fit. She was a terrible traveler for one thing, hating to go in the car even for short distances, and she also had a nervous personality and didn’t like change very much. 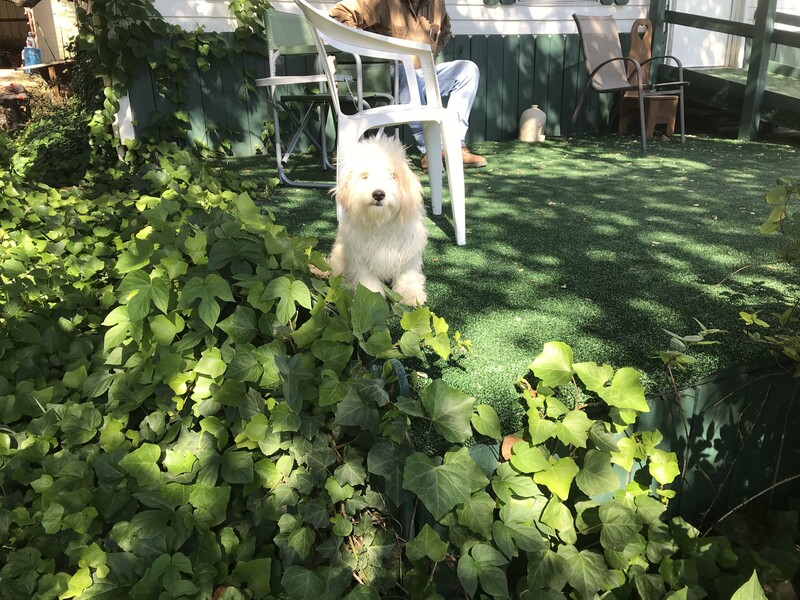 One of our steps for becoming full timers was to find her a good home, and luckily the mom of a friend of my daughters was going through empty nest syndrome and was happy to take her. Despite missing having a dog, we rarely regretted that decision. We were getting used to the lifestyle and saw how having a pet complicated the lives of some of our friends, and we both wanted things to be as simple as possible as we worked our way through the transition. We also were finishing a 25 year period of raising kids and to be honest not being responsible for anyone other than ourselves was very appealing. It was finally “us” time and we wanted to focus on that. As time went on that became the norm, and between trying new jobs and seeing new places, we had plenty to keep us busy. There were times though, especially when when we were traveling with friends with dogs, when I really felt the lack of a pet in my life. Don’t get me wrong, I love being “Aunt Tracy”, but I saw firsthand how they managed to travel and have a dog, and the irony of the fact that we were living a lifestyle that lends itself to having a pet, but were pet-less ourselves was not lost on me. Fast forward to now, and hanging out with Hobie (Cori & Greg’s dog), combined with having some down time, and I really started thinking about it again and started looking around. As a general rule, all other things being equal, I am a huge fan of adopting from a pet shelter, so that’s where I started. But even though adoption rules are much laxer in the south than they are in the north I ran into some brick walls pretty early on. For one thing most of the available dogs are much larger breeds, and although I have friends with large dogs who are perfectly happy, we knew a smaller dog would be a better fit for us. Not surprisingly the small dogs are pretty popular and the review process to adopt them takes awhile, so routinely I would find a dog I liked but by the time I went and saw them, the waiting list would be 2-3 families long. Plus the criteria for adopting can be difficult for a full time RVer. Do you have a vet they can talk to to find out how responsible you are? Well no, my vet is in New Hampshire and from 4 years ago. Do you have a fenced in yard? Well no, and then of course you have to explain it. Some people understand the lifestyle, but many just don’t get it, and since there are lots of people looking to adopt smaller dogs, you are probably not going to be on the top of the list unless the dog is less desirable. Plus with an older dog you have no idea if they are trained, have major behavioral issues, or travel well, which are all pretty big factors for us in the decision. The process also takes time, so if we were going to be in one area for several months we would have that, but we knew we would be moving soon. I’d like to take a second here and mention that I could have lied about my circumstances to help cut through the red tape, but as a general rule when faced with a situation where I need to do that I tend to avoid it. I know we are coloring outside the lines here with our lifestyle and it’s complicated because our situation is unique, but whenever I am forced to lie about what we are doing, on some level it makes me feel like we are doing something wrong and I don’t like that feeling. Let me explain. As a general rule, I don’t tell the casual person I meet (Hey, I see you have Florida tags where in Florida are you from?) that we are full time RVers, but don’t mind talking about it to the person cutting my hair (Are you just visiting here?) or providing other services. That’s different than being in a situation where people want to know your address and don’t understand why it is out of state (my recent car rental when the truck broke down comes to mind) and like I said, in general I just avoid that stuff when I can. Anyway, these adoption agencies want to make sure you have a stable environment for the dog, which is a good thing, but explaining it to the very busy volunteers at these shelters isn’t easy. I’m not saying it can’t be done with time, but since they are staffed by volunteers many of the applications can take several days to process and there is a high level of subjectivity in who they decide to give the dogs to. After going down that route I took a step back and looked at local breeders searching on the AKC breeders website. The benefits of a puppy are getting the dog used to the lifestyle from the very beginning, but the downside of course is the training. It’s also easier to research the breeds when they are purebreds and see if in general they would be a good fit. 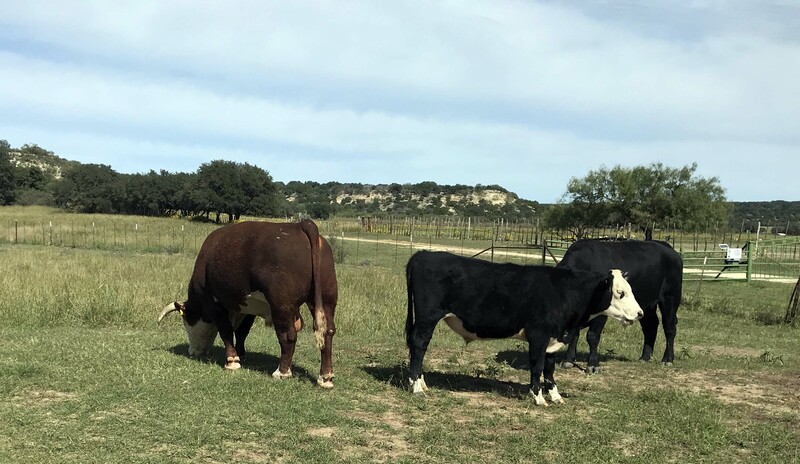 Although most breeders also ask lifestyle questions, most are more concerned with the money, which is another downside because breeders generally mean big bucks. As I was going through my search I was looking at Corgi’s, for example, and those are all $1500 minimum. Plus availability is a huge factor as many of them have waiting lists for dogs, and although they occasionally adopt out retired, older dogs those situations are few and far between. I even stopped in to a pet store at one point just to check that route out, and although they had a lovely selection of dogs, I got sticker shock at the $2-3K price tags. And yes, I know, lots of these puppies come from puppy mills which is not a good thing, but I was exploring my options as a traveling RVer and wanted to see all of what was out there. All of these dead-ends ultimately led me to Craig’s List. I’ll be honest I am not super savvy when it comes to Craig’s List. I actually don’t think I have ever bought anything from there, but since it is the modern day version of the classified ads, I decided to give it a try. After some trial and error, I found the best search was a 40 mile radius of the zip code we are staying in, and lots came up. All of the different types of pets are mixed together and the listings changed all of the time. I learned that there are lots of scammers out there and even though my search was local, people from out of state were putting dogs in to try to scam money. People who use Craig’s List a lot are probably used to this, but I got emails back from the same “doctor working on polio” in Virginia on four different ads. For me, I would never buy a dog sight unseen, so these were easy to weed out, and eventually I got a feel for the language on these fake listings and just disregarded them. There were lots of big dogs on the list, and lots of puppies that would grow into big dogs, and those I also went past. The most interesting ads were from people who were moving or had a life change and had a younger dog that they needed a new home for. Many of these dogs were at least partially potty and/or crate trained, the price was reasonable, and most came with a crate. That seemed perfect. Unfortunately it was also perfect for lots of other people, and it seemed like by the time I could arrange to come and see the dog, someone else had already purchased it. That happened a couple of times and really bummed me out. My general attitude this whole time was, if it was right the dog, would come to me, but after four years of waiting for that to happen and now being thwarted in my search, I was thinking I would need to push a little. While I was looking, Cori got interested in the search as well so we had two people looking. She checked out puppyfinder.com and some other sites, but most of those dogs weren’t the right fit or were too far away. I realized that maybe regular animal control shelters might have less stringent rules about adoption and started taking a look at those. Kill shelters (for lack of a better word), still exist down here in some parts of Texas and because animal abandonment is somewhat common they are less stringent on adoption. Again though those were mostly bigger dogs and unfortunately they don’t spay or neuter all of them and since the dogs are in and out of those shelters so quickly there was generally much less information on their personalities. 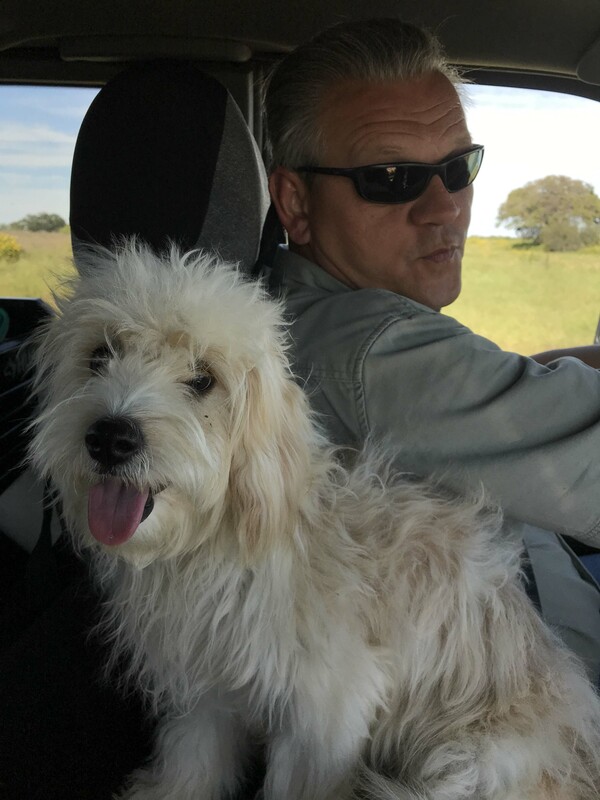 It was definitely an option though, and one I was willing to check out, when I finally ran across a foster situation with a small dog and the woman who was the foster mom didn’t seem put off by the fact we were full time RVers. She did stress the fact that the small dog had a rough start in life and was very shy and needed lots of time to warm up. I set up a tentative appointment to come see the dog, but had concerns about how well she would do being thrust into a completely new environment. I also made a tentative appointment to see a breeder of Corgis, because the dog was so darn cute, but at this point Lee and I really had to sit down and have a serious conversation. Window shopping is one thing, but I was honing in and Lee had some pretty valid concerns. In most of our past life we had a fenced in yard and dog training was never a major issue. This was going to be completely different, and he had some concerns based on past experiences that he would get stuck with the more unpleasant parts of dog ownership. He wanted to make sure I had really thought it through and make it clear that he felt like he had his hands full already and the bulk of the care of the animal would fall on me. I thought the points he made were very fair, but I also thought it was unfair to judge how it would be based on the past. Sure I didn’t have lots of time when I was raising three kids, going to school, and working full time, but our lives were different now. I had been paying attention to our friends and their dogs and was aware of the downsides, but frankly didn’t know what that would look like in a life on the road for us. I think that the good will outweigh the bad, but a lot of that depends on the dog. And most importantly, even though we are in this together and what we do affects one another, in this particular case he didn’t get to decide for me. The conversation was a little tense, but it was a good one, and I ended up with a few additional criteria. He really didn’t want to mess with puppy training from scratch , but thought a younger dog was a better bet because they would be more flexible. He also really likes smaller dogs and cavachons in particular, but that wasn’t a deal breaker. After talking to him I continued searching and somehow stumbled across a website neither Cori or I had found. This was surprising because between the two of us we had spent hours looking, but this one eluded us for some reason. It was called My SA Marketplace and was online classified ads for the San Antonio area. This website was more like old school paper classified ads and all of the ads were legitimate and local. 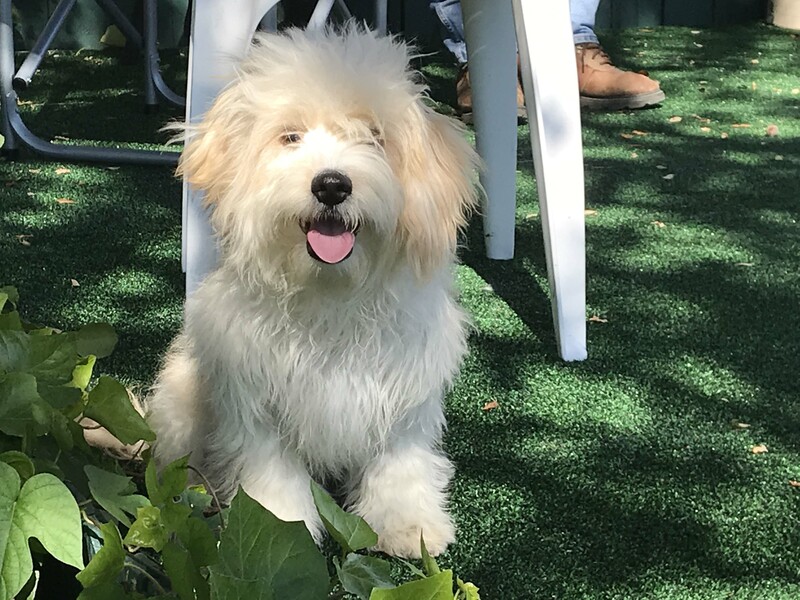 There were two different breeders on cavachons (and numerous other breeds) on the website and unlike the AKC breeders the prices were much more reasonable ranging from $350 – $1200 for dogs. The ads also had clear contact information and I got immediate responses from both of the people I called. One of the breeders in particular was of interest because they had two 5 month old male cavachons available. After talking to the gentleman and his wife on the phone, Lee and I decided to drive out to see them. This particular breeder was located in Mason, Texas which was two-and a half hours north/northwest of San Antonio. It was a retired couple and because they lived out in the country the directions were pretty awesome, including turn left at the blinking light past the Dairy Queen, and my personal favorite “go down a dirt road until you see my gate with a star on it. 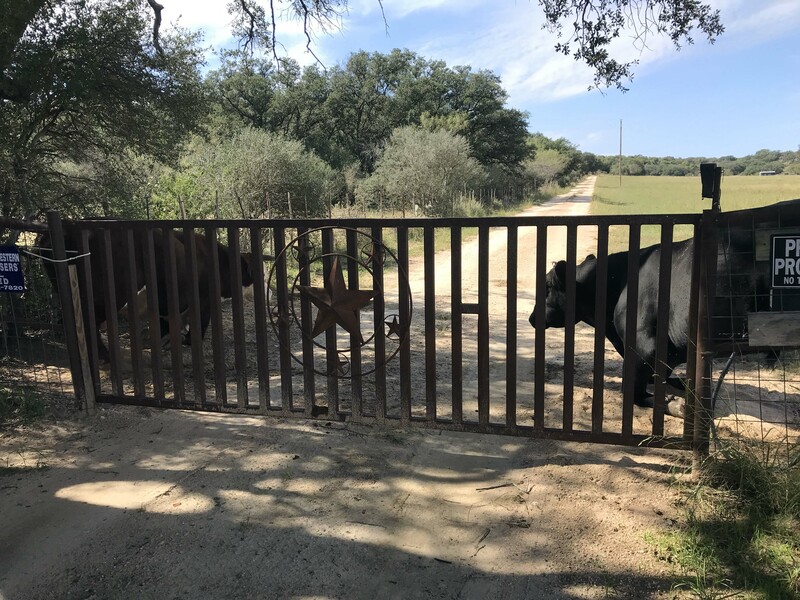 If my bulls are standing in font of the gate give me a call and I will come move them out of your way.” My kind of place! Lee agreed to go with me and even though it was a long drive, I promised myself that if I wasn’t feeling it I would walk away. Our friends Jim and Barb had bought a dog on the road a couple of years ago and I vividly remember when they wrote about it in their blog, her walking away from a couple of dogs based on gut feel. Here’s the link to their post Say Hello To our little Friend experience, as a comparison, because I think they did an excellent job of working through the challenges of adopting a dog on the road. They were the first people I knew who did this (although later my friend Jo adopted a cavalier puppy while in her RV) and hearing about both of their experiences really helped me have an idea of what I was getting into. Not every dog can handle the lifestyle, that’s where I started this post, but most dogs are adaptable over time with lots and lots of attention. I needed to keep that in mind when we were looking today and basically if it didn’t feel like a good fit, trust my gut. When we arrived at the gate we discovered that the owner wasn’t kidding. 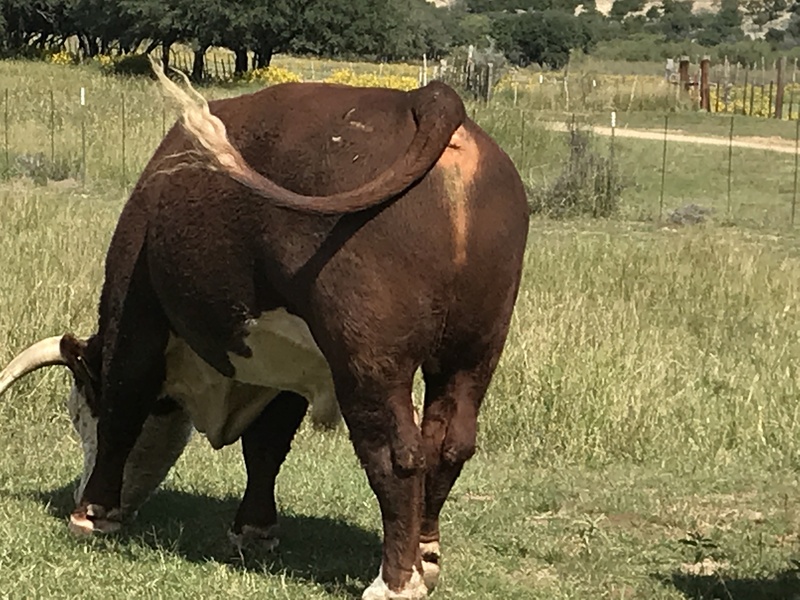 There was a HUGE bull in the shade right at the gate, and my cell phone picked that moment to not have any service. 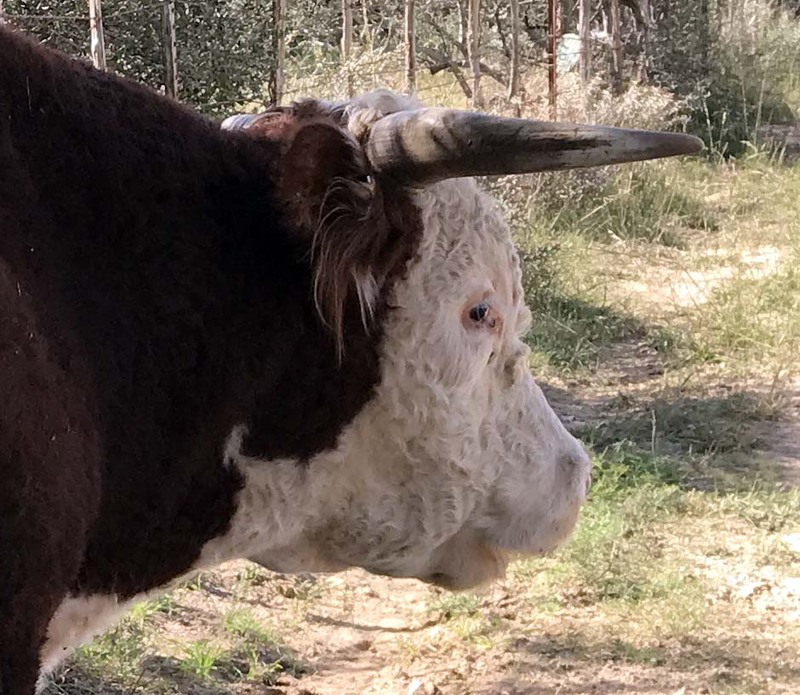 I was going to get out and try to move the bull (hey I was excited) but Lee put the kibosh on that plan and thankfully he had a sliver of the bar on his phone so we could call. The owner Sammy came down and moved the bull pretty quickly and then we followed him up to the main house. 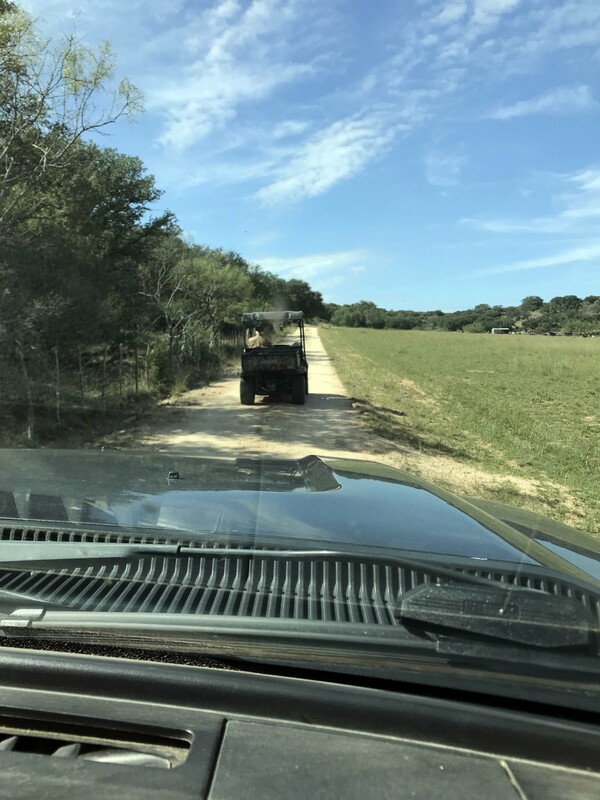 I was happy to see that a bichon was riding in the ATV with him. Once we arrived there were dogs everywhere. It wasn’t chaotic, but several retired dogs (a poodle, a bichon, a westie, a cavalier, and a cavachon) were all hanging around the house. All of them were super friendly and tails were wagging everywhere. They also had a barn with the breeding dogs and pups and her setup was really good. They had separate areas for the moms with pups, weaned puppies, and mating pairs and lots of long outdoor dog runs so the dogs could go in and out freely. They had pulled out the two male 5 month olds and put them in the house and we went in and starting hanging out with them. The thing that I liked the most was the owners let us take our time. They were in the house with us, but didn’t talk unless we had a direct question and just let us get a feel for the dogs. The smaller male had more cavalier characteristics and was more of a lover. The bigger male had more energy and seemed more bischon, and they both seemed active and healthy so it came down to a matter of preference. After a little while I asked to take the larger dog outside and we went and ran around a little. Initially all the other dogs came out to and it was a complete fluff fest. I was happy to see they had stairs on their porch and he was navigating them pretty well. Finally after we walked outside and talked a bit we decided to go ahead and adopt him. The cost was $750, which was on the high side, but not as much as other puppies I have seen, and they sent us a complete care package with him. We got a bag of his current food, his toys, paperwork showing he was current on shots and had been fixed at 4 months, and information on his RFID chip so we could register him online. I’ve never had a dog with a chip before so that was new. She also had paperwork on her dog training methodology and included a piece of green astroturf carpet that he had been using. 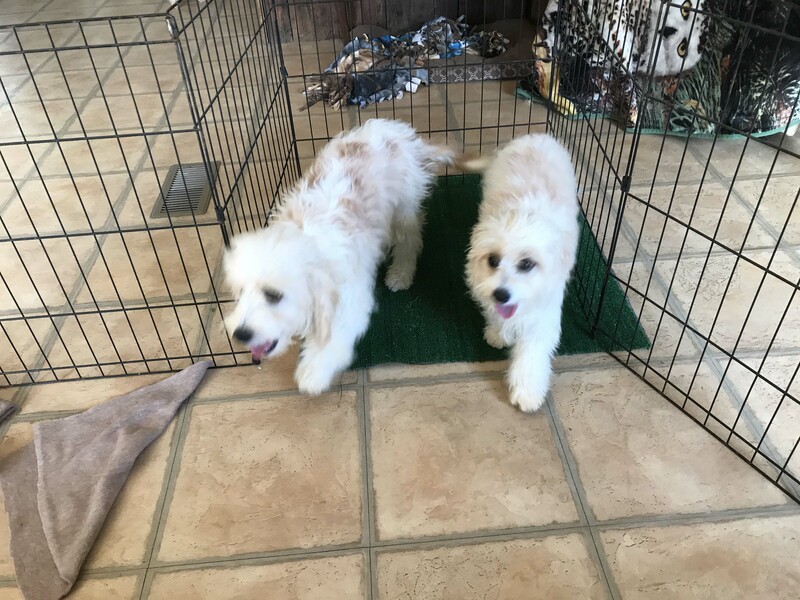 What Peggy does is put a small piece of indoor/outdoor carpet in with the puppies when they are with their mom and the mom teaches them to go on it. Then when they are weaned the carpet goes with them and they use that in the night and their doggy door in the daytime. She gave me some extra carpet as well and recommended I take the used carpet and put it on the ground outside our house, which I have faithfully done. The best part of the whole transaction was that our being RVers never came up, although he did ask if we were visiting from Florida since that was the address I put on the paperwork and that’s also our license plate. Overall it was a good experience and best of all when we put Jack (yep, that’s his name) in the truck, he was perfectly content. He tried a few places in the car, but eventually ended up in the back behind my chair and slept most of the way home. Meet Jack!! He’s never had a hair cut and still is cute as all get out, Can’t see what he looks like with a puppy cut like Hobie. The next few days should be pretty interesting, so I will take lots of pictures and pass along how it goes. So far Jack is pretty mellow, which is a good thing, but we will see once he gets settled in.